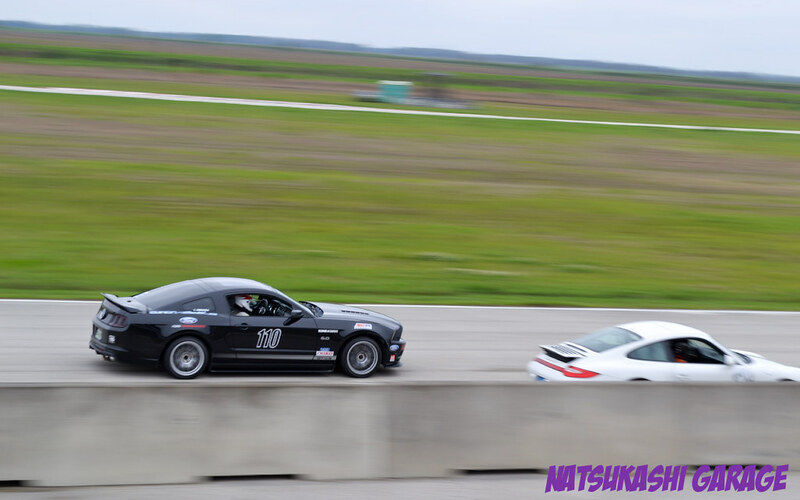 This was a really memorable track weekend. It was my first time to track with the DnB crew and most started tracking becuase of me. 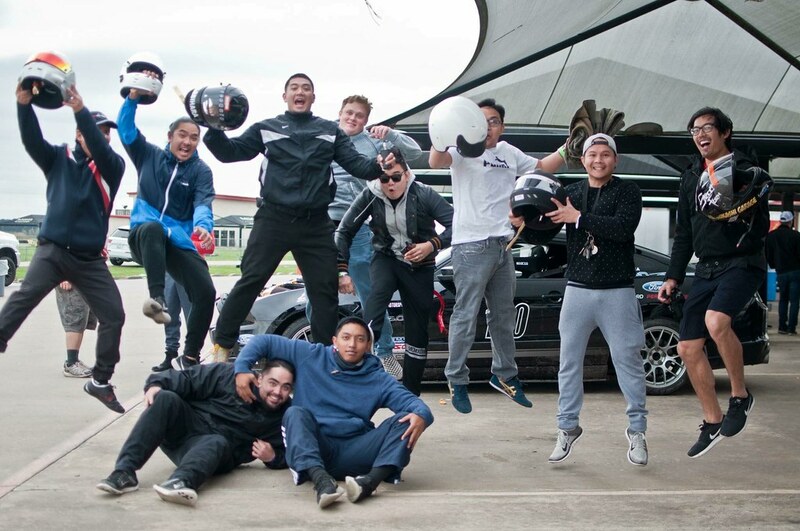 Its crazy how you show a couple of friends your passion and then next thing you know you have a group of friends that likes to do the same thing. Tracking is soo much more fun with a group of friends. 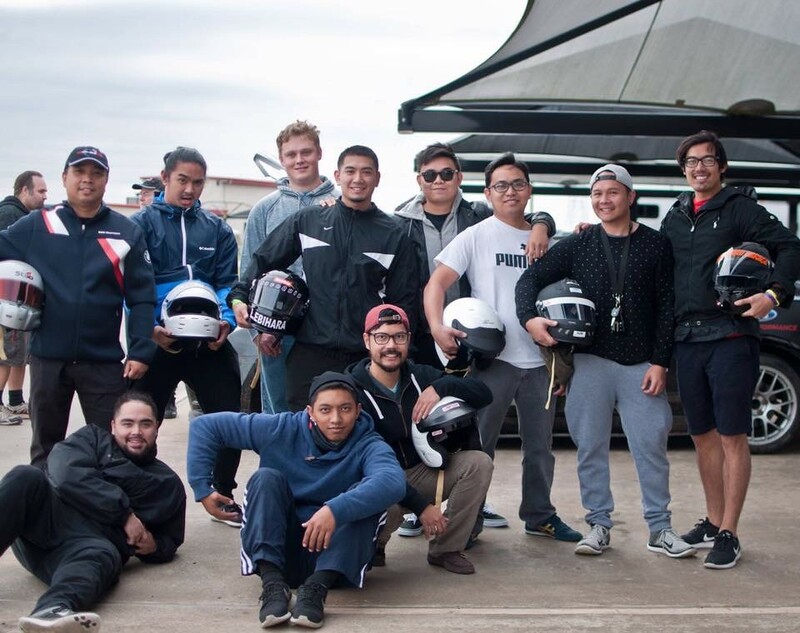 I mean I’ve been to track days just by myself and meet people but its just more special when you have your friends out there doing the same thing you love to to do. 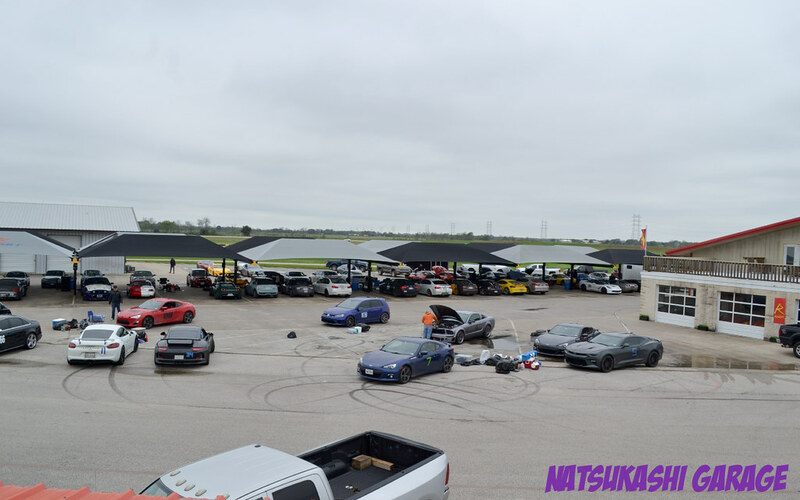 This was a two day event, just days before the track we all getting excited. When the track bug bites yah, you know. 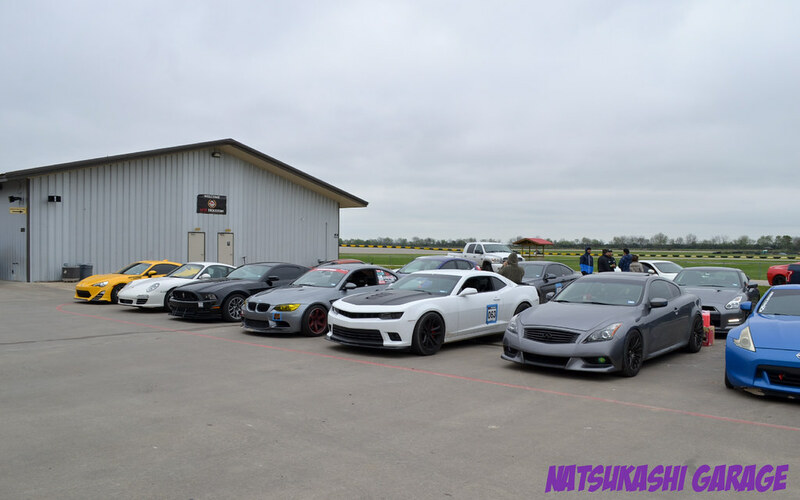 You are always itching for the next track event. The first day it rained and I didn’t take any pics. My camera bag got soaked but thankfully the camera was dry. The first day was a pretty soggy. Lots of cars spun off and few unfortunate crashes. The drivers were okay thankfully. Some of my friends was actually worried tracking in the rain. I get it, becuase you can’t go as fast, and the chances of losing control is higher. 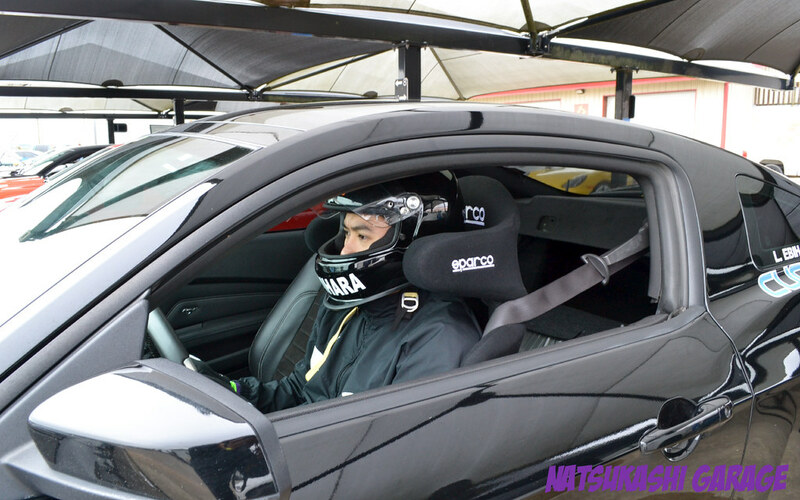 I don’t mind a wet track day becuase I learn more as a driver in car control. I’ll get more in depth in a later blog. Since I don’t have any pics of the first day, here is a wet session video. 4 wheel drive cars ruled the tracked. The second day looked for better track conditions with no forecast of rain. But what I forgot was how cold it was going to be! With daylight savings having to lose an hour of sleep, I woke up late. I barely made it to the drivers meeting! Unfortunately with me rushing to get to the track I didn’t bring a thick enough jacket and I wore shorts with a forecast of 50 degrees, which honestly felt more like 40 degrees. Luckily Mike had a spare jacket, and my nomex race gloves to keep me warm. 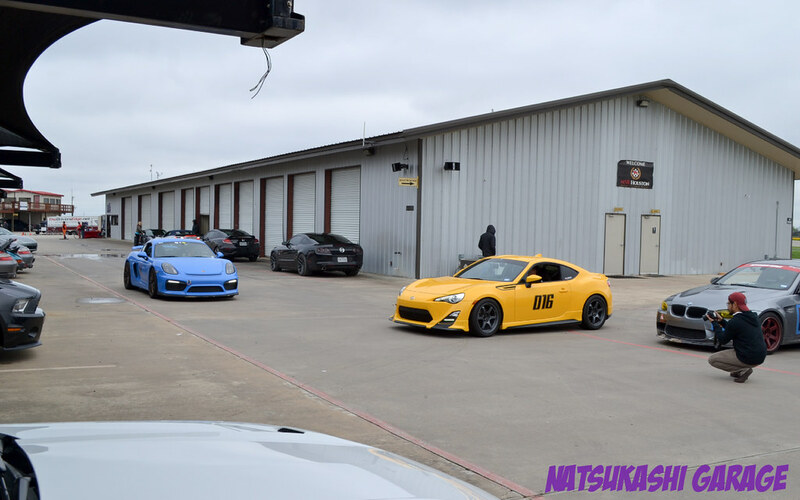 As I had some breaks between sessions, I went ahead and took some photos. 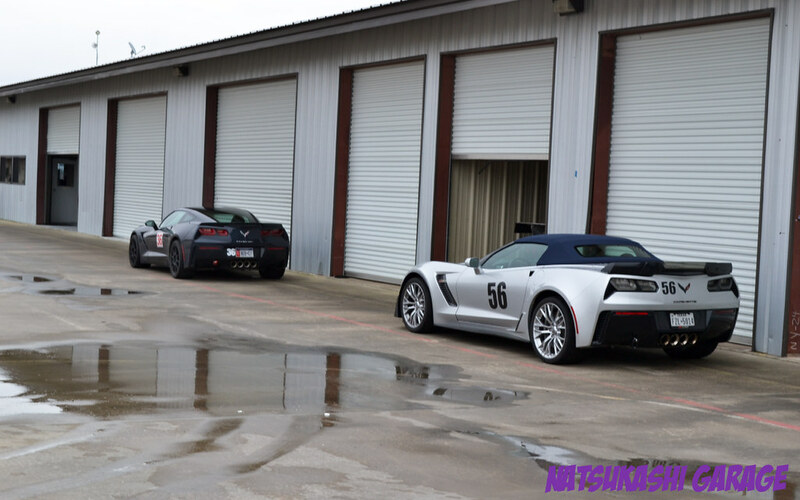 Most the cars were track oriented but still street driven and registered. 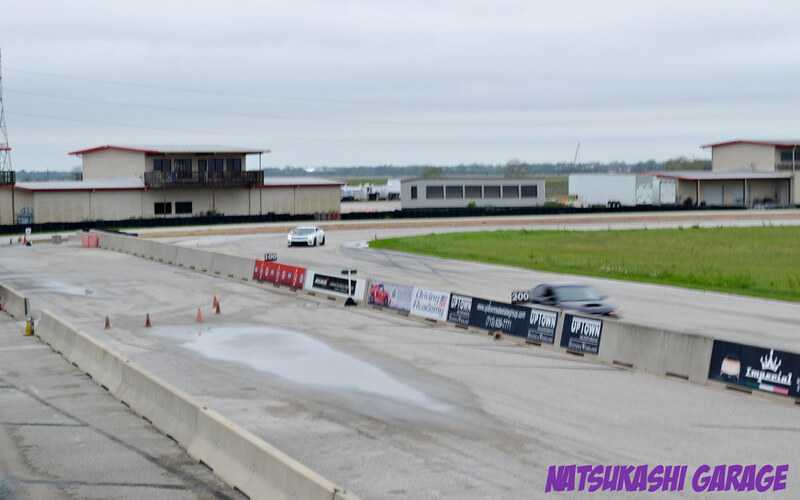 I appreciate the people that actually take their car to track instead of doing street races or just being reckless in the street. 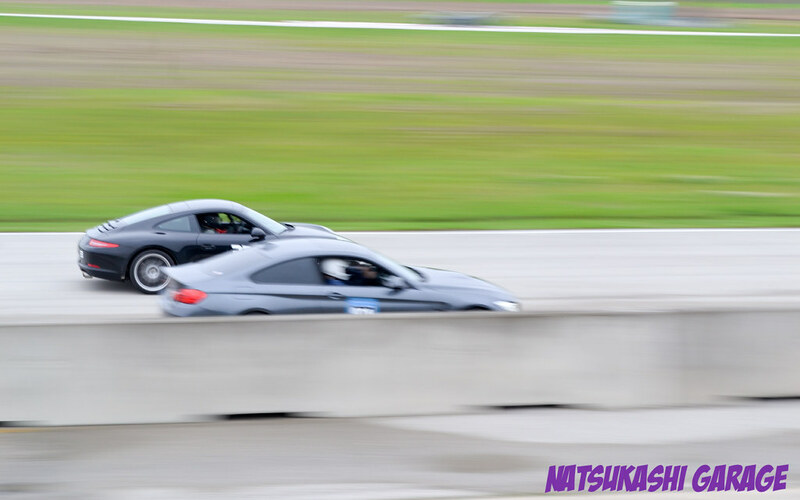 Porsche GT4 at the track. 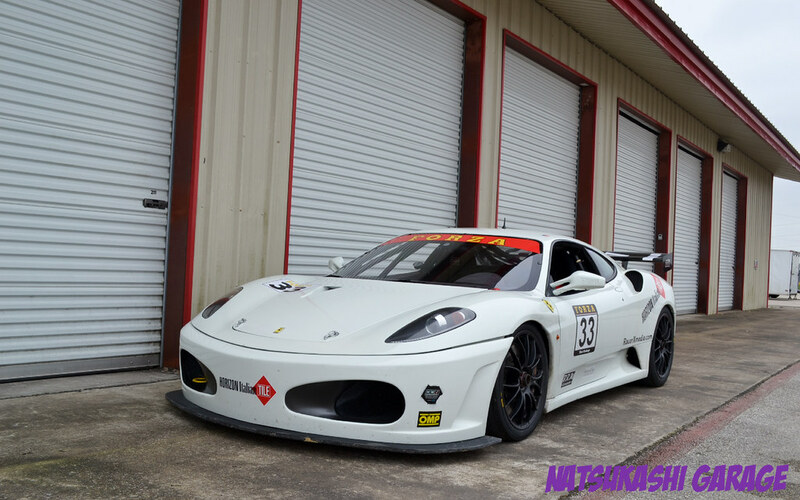 Another car that is built for the track but still is streetable for a daily. You have the lightweights at the track. 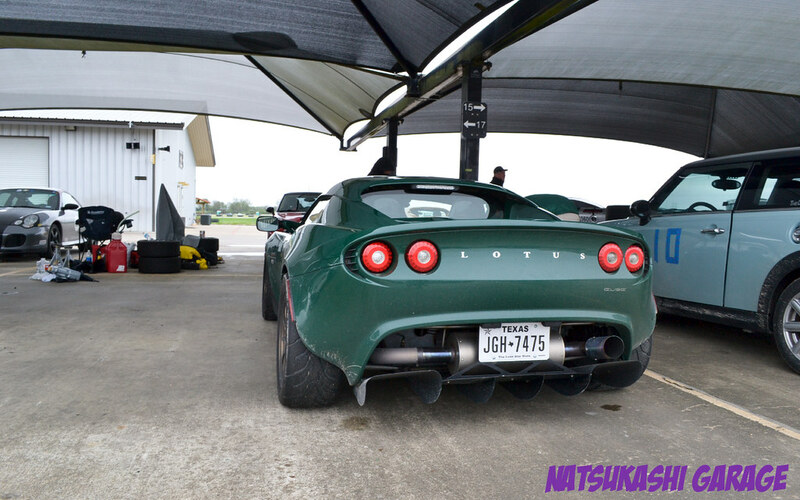 This Lotus Elise has a few track mods. 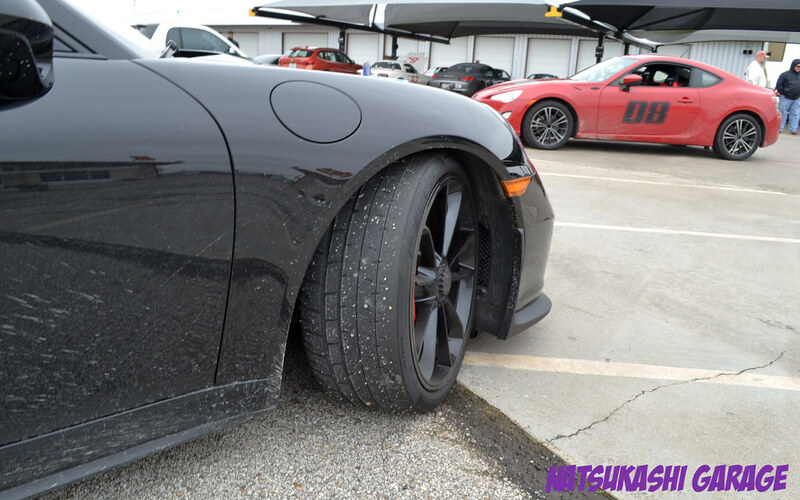 Sporting a titanium exhaust, Toyo R888 tires and Volk CE28. 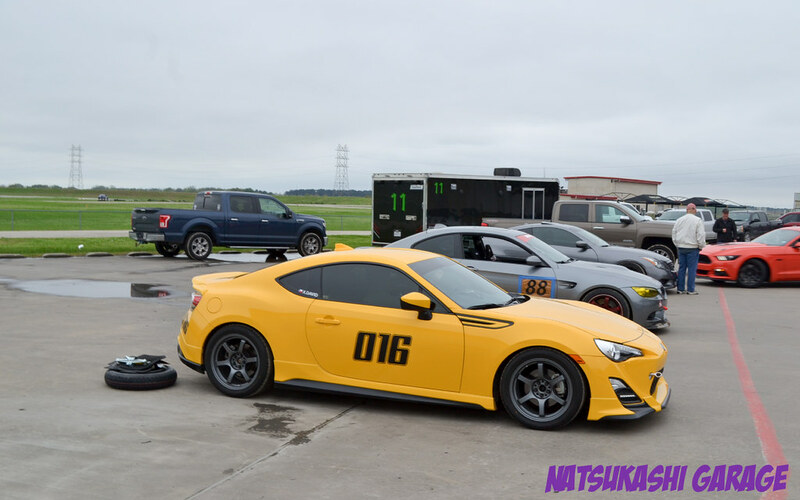 I like to see a track modded car out on the track, thats the purpose of track mods right? Another tracked Volk, this time TE37 mag blue. Props to the people that bring stock cars out too. 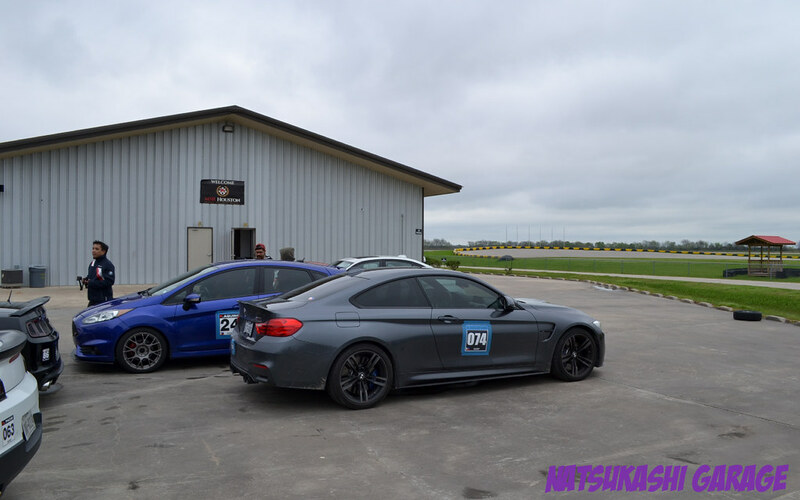 You really don’t need to have a fully tuned out car to track. Just bring what you got and develop as a driver. 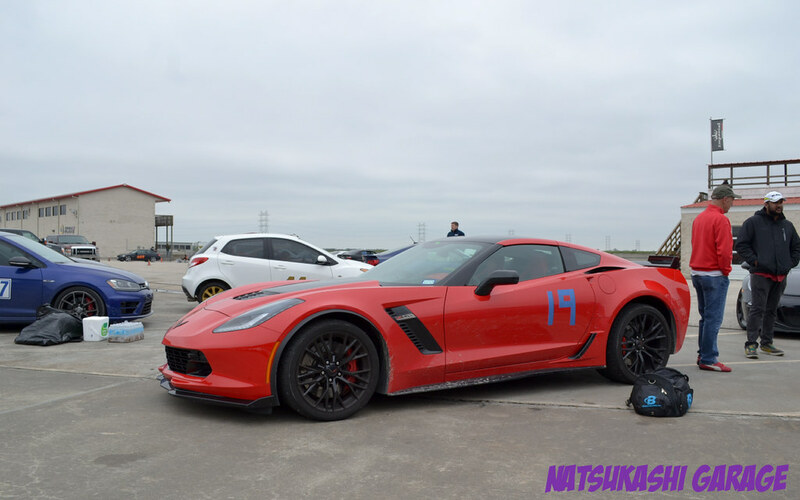 A stock car can teach you a lot at the track. 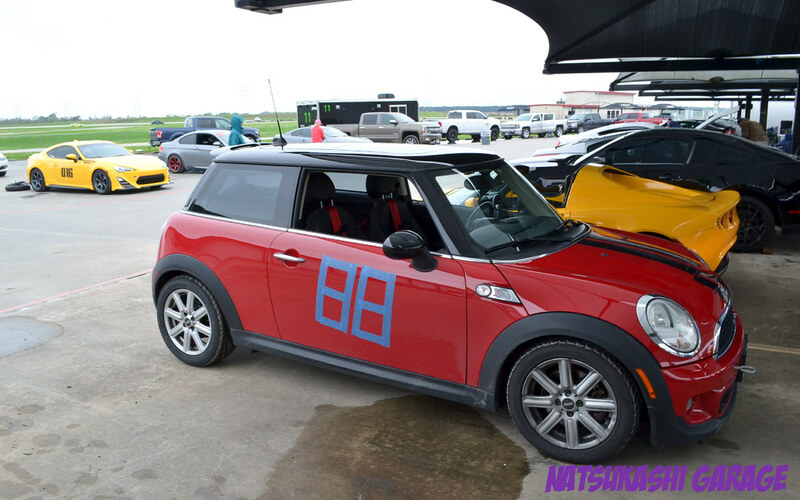 I’ve seen this Mini Cooper in past HPDEs and driven by a older gentleman. 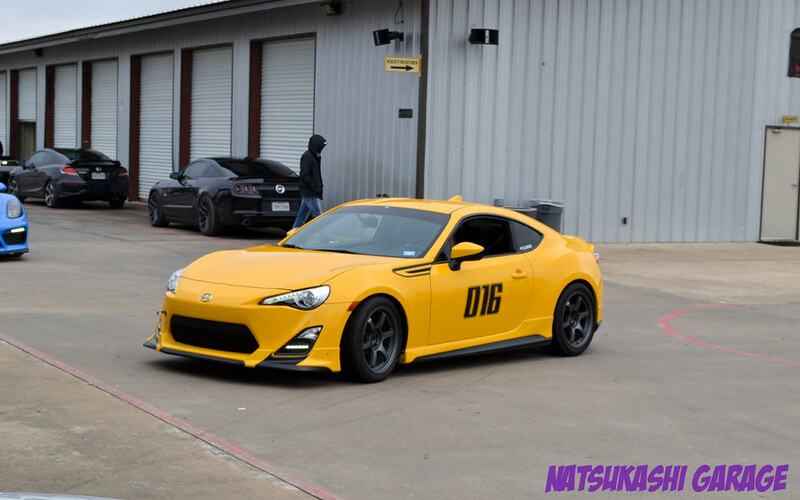 Xerxuz yellow TRD FRS. He was getting faster every session and managed to get under the 2min range! Not bad for the 2nd time on this course. He doesn’t have any power upgrades either. Just coils, rims and street tires. Dykon coming out into the main pit straight. 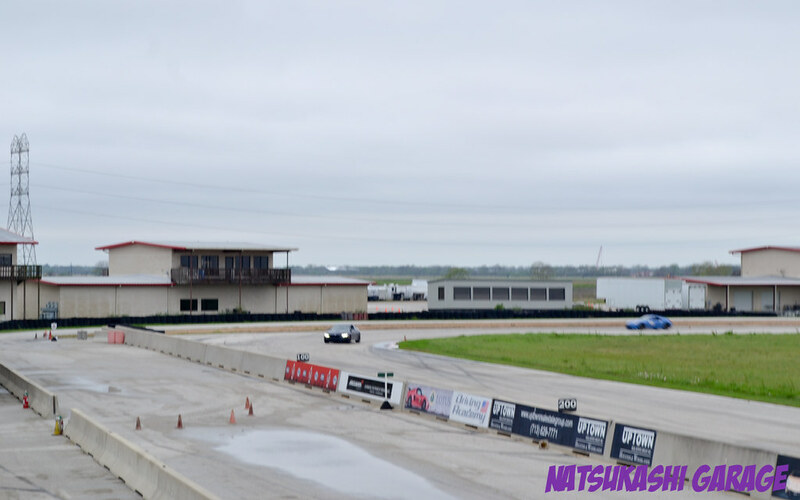 Even though weather was dry you can tell the track still had some wet spots. Alex’s M4 avoiding the puddle of water by the apex, left from yesterdays rainstorm. 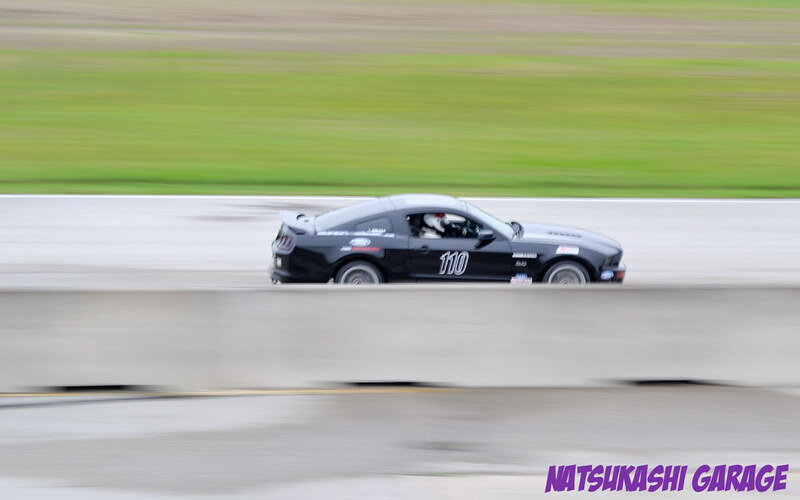 Lenards 5.0 mustang in action. 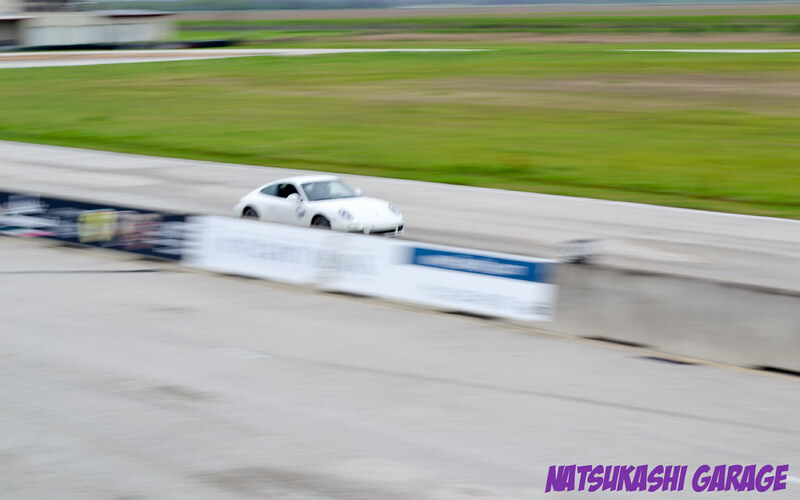 Another shot of Alex M4 passing a Porsche 911, or was it the other way around??? 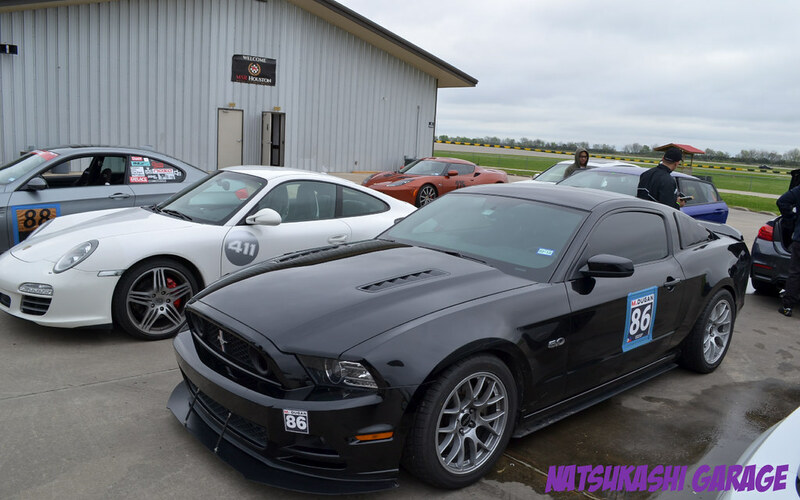 Lenard’s Mustang twin…. 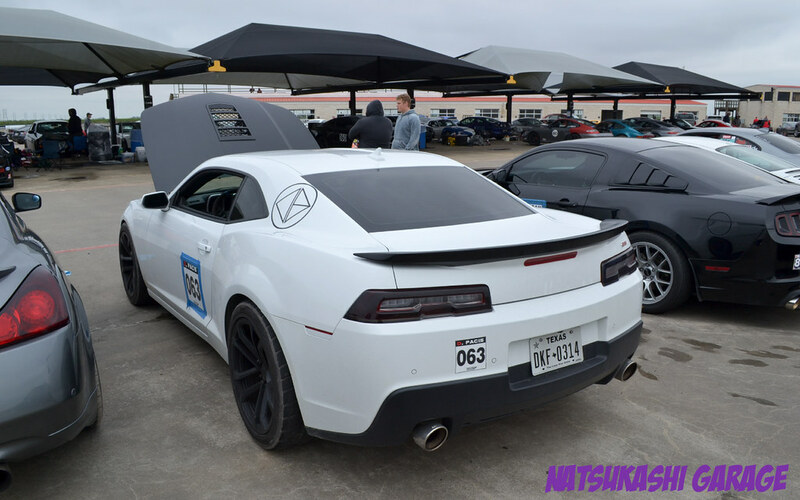 Mhel’s 5.0 Mustang. 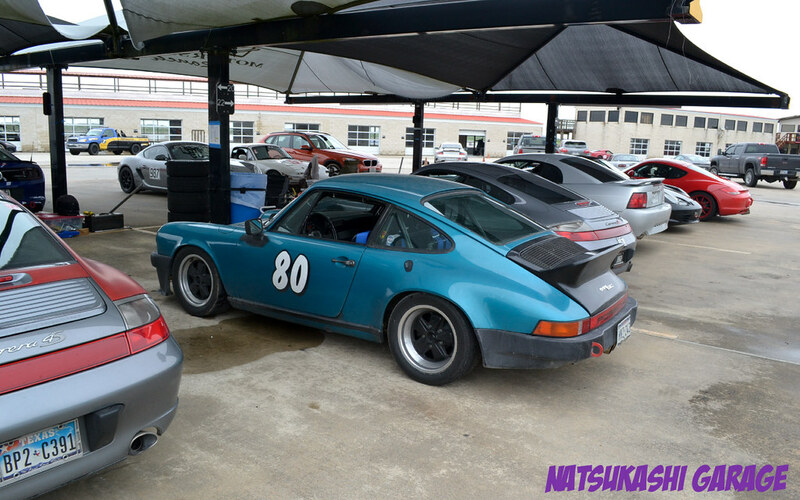 Mike’s recently acquired Porsche 911, I had no idea they come in 4wd also! More fun when tracking with friends and even better if you in the same run group! 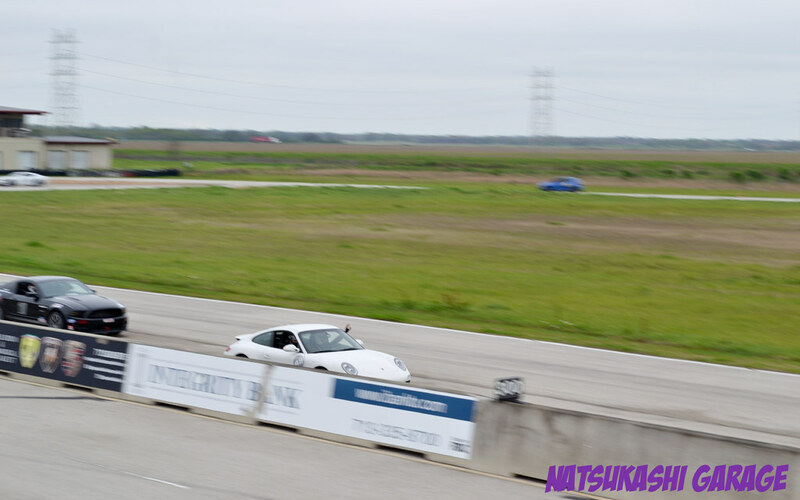 Mike in the white Porsche 911 giving Lenard the point by. 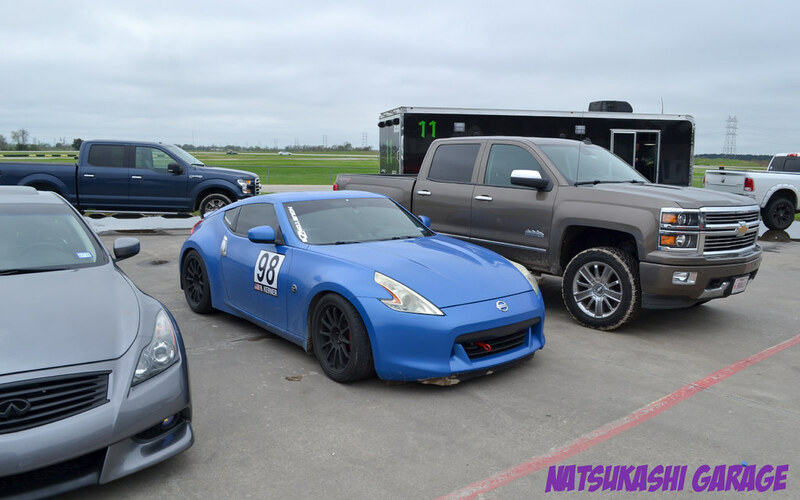 Nick’s 370z tastefully modified. I’ve seen soo many riced out 370z that this is refreshing. 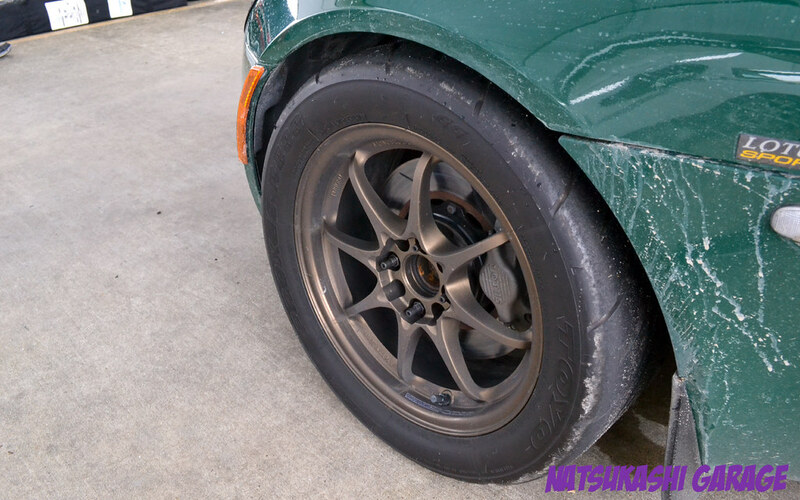 Nicely lowered on SSR wheels, clean and simple. Gab Focus ST, and Alex M4 cooling down. Mike taking shots and Im just behinds the scene. Lenard prepping himself for the next session. The track bug really bit him! Later in the day he did spin off…. At least you learn from it! 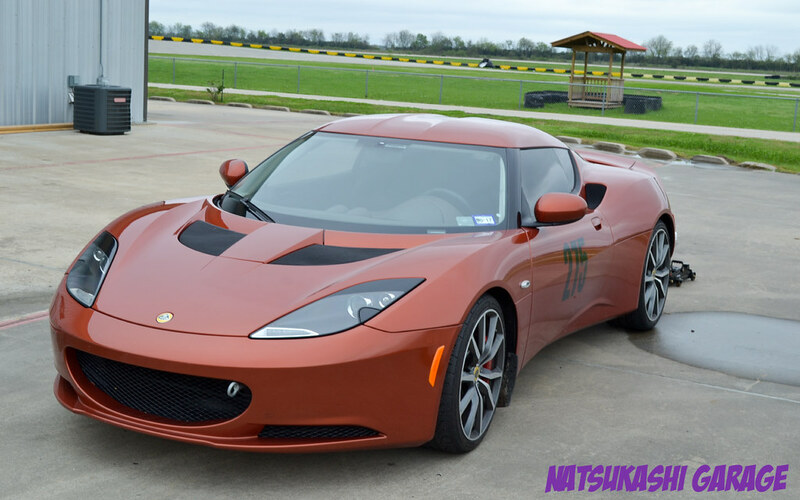 Lotus Evora that parked next to us. 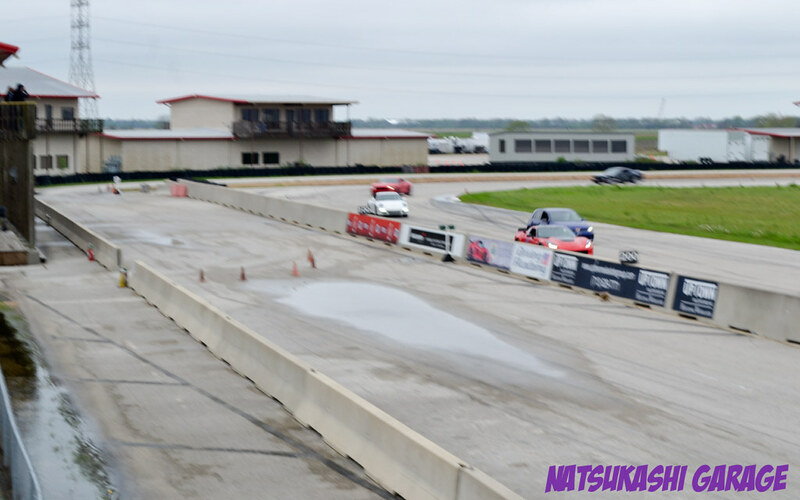 The car was in the same run group as me. Gab’s Focus ST with derpy Jan photobombing in the passenger seat. 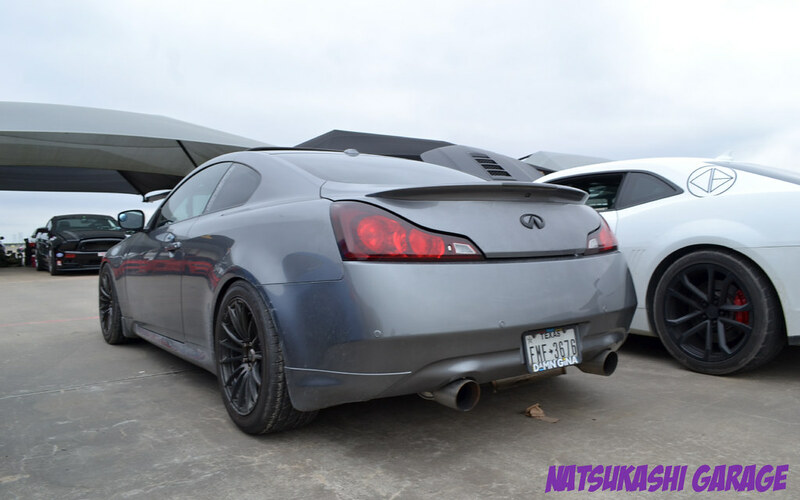 Here’s Jan’s G35 booty. He likes to hard park at the track. Shout out for being a babysitter while Dykon was at the track. I know Im not ready for the dad life. 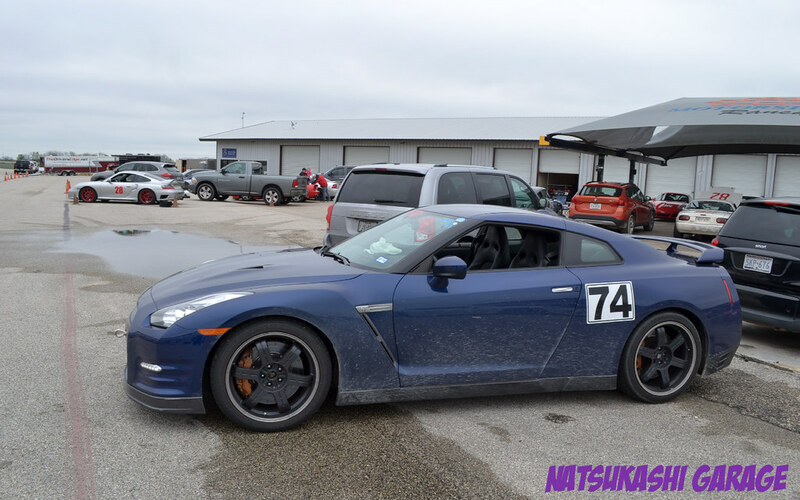 You might be wondering why a lot of the cars are muddy… well most of then didn’t go off track. The reason is the track entrance is under construction and there was a section of mud that all the drivers had to go through. 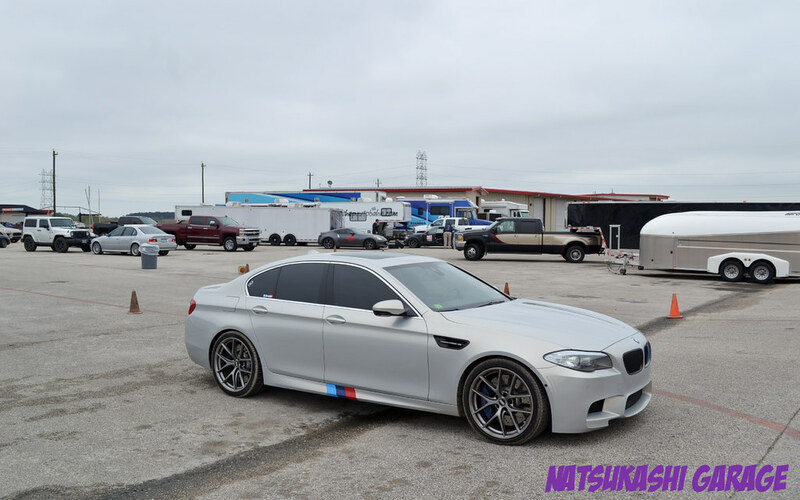 Seen this M5 before at NASA events. Sporting BBS wheels too. 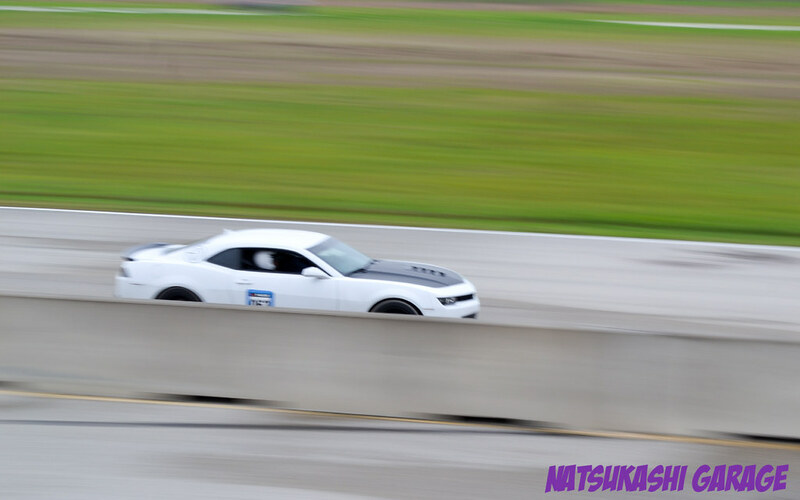 Sometimes your track day doesn’t go as planned. 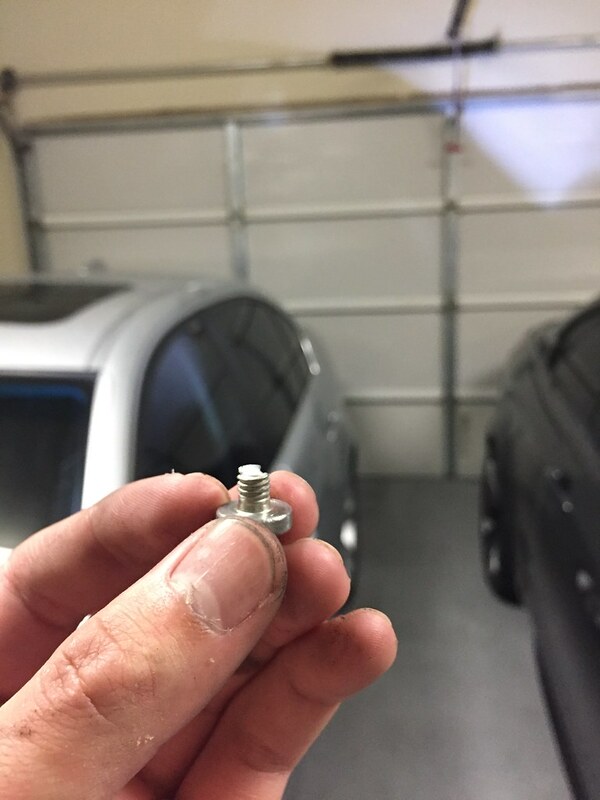 This BMW wheel stud broke right at the hub. 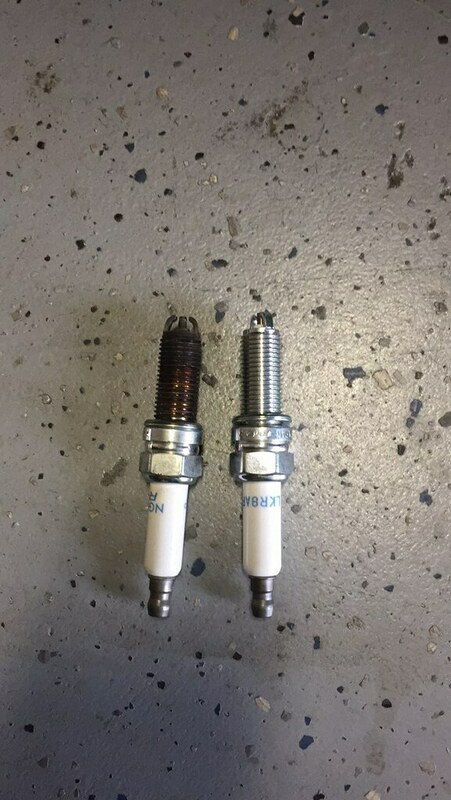 The owner was able to remove the broken stud and replace it before the next session. Always good to have spare parts. This interior is serious business. 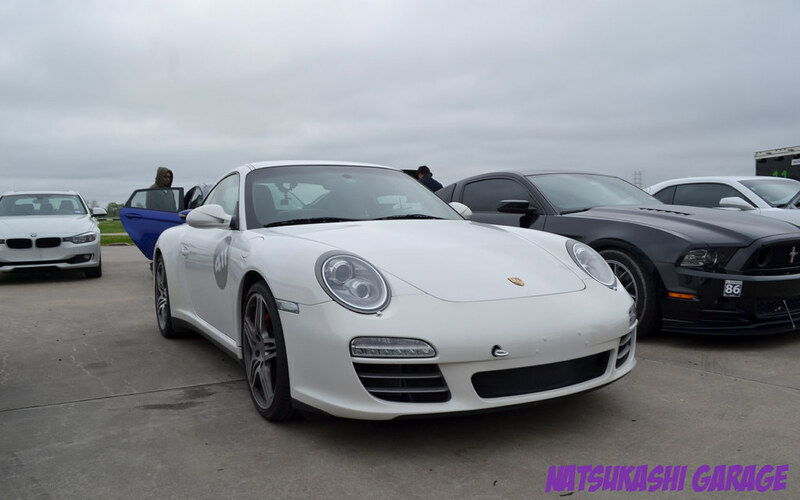 Track dirty GT3, with a color matched roll cage. 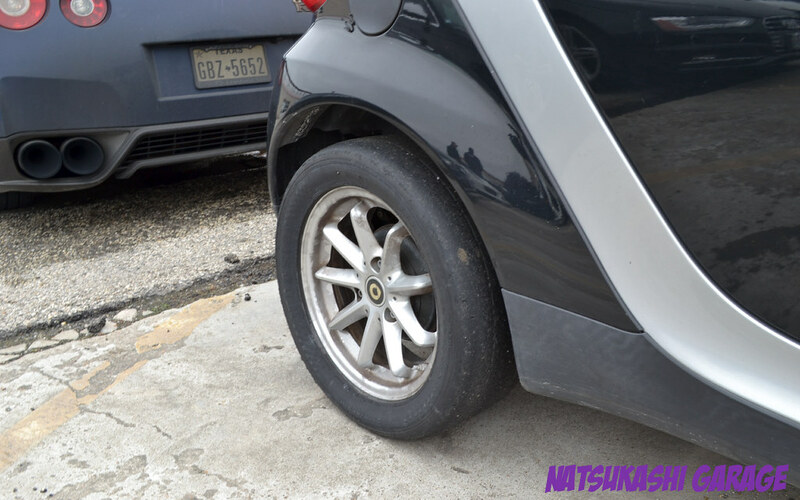 A smart car on slicks…. thats a first. This Alpha Romero sounded really nice, sure didn’t sound like a 4 cylinder motor. 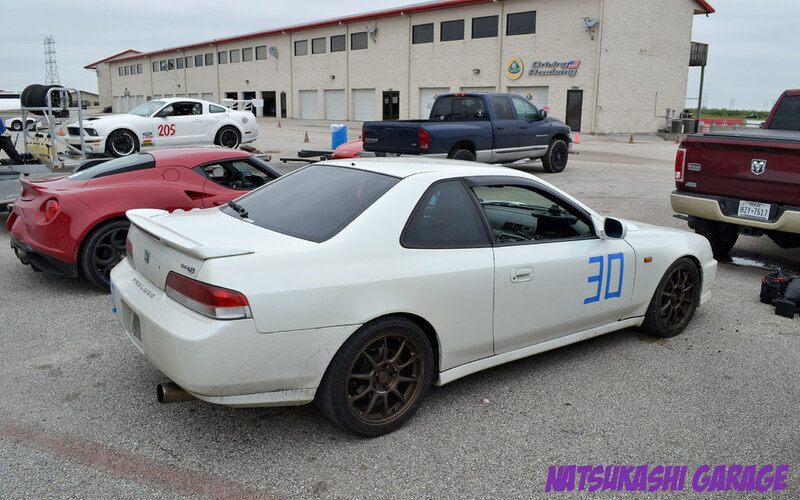 RHD prelude. 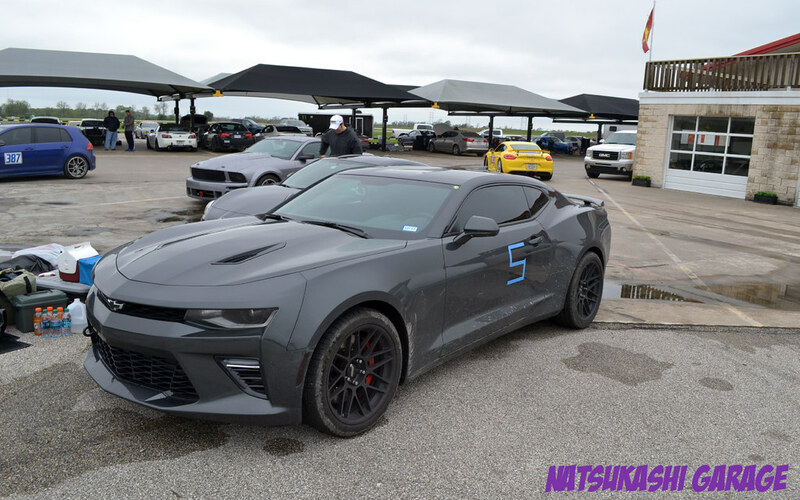 Seen this car at previous Drivers Edge HPDE. 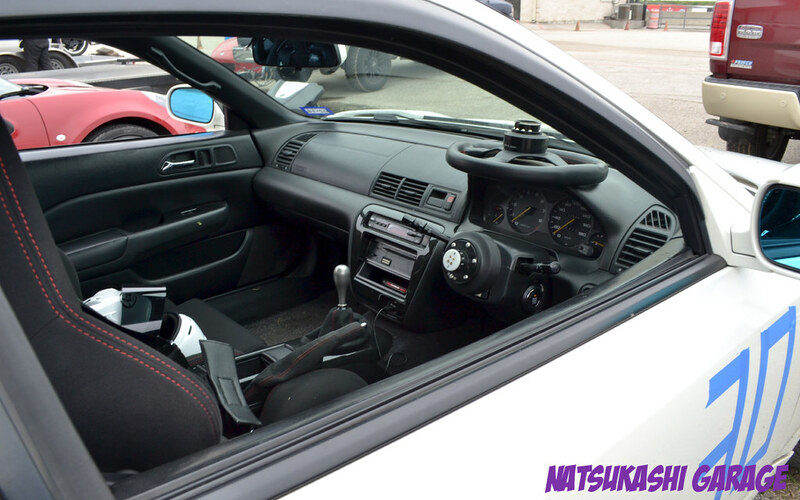 Has some tasteful JDM mods. 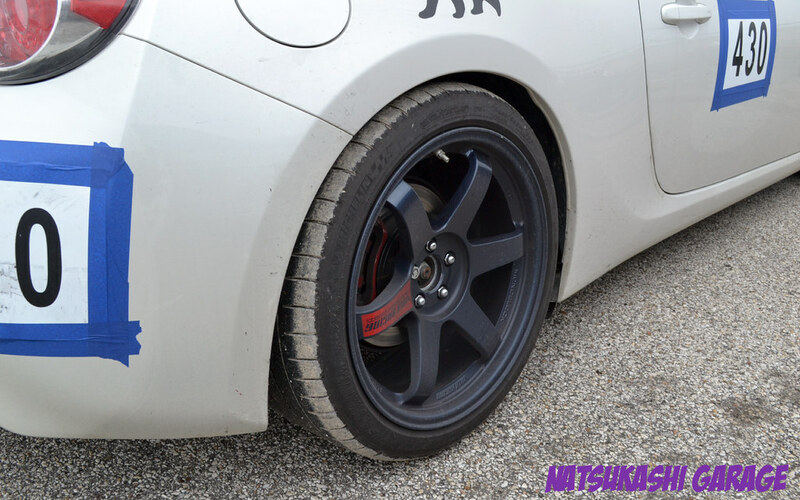 Volk wheels, Spoon brakes, and Advan tires… JDM trifecta? 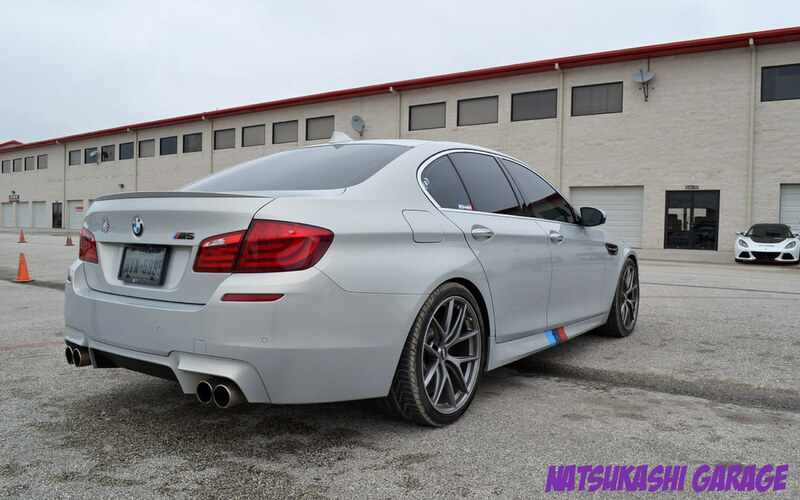 This white F80 M3 posting pretty fast times… I heard it was running in the 48 sec range on just NT01 tires and camber plates! 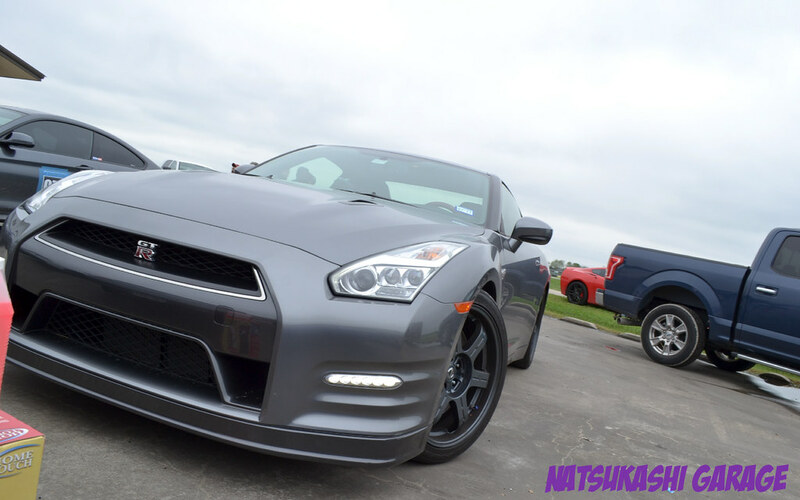 Marvin’s R35 GTR looking pretty nice. We pretty much claimed this spot the first day. I really had a blast with my track friends. We all got bit by the track bug and got addicted to it. Some of my other friends don’t track and thats okay. Some came out to support us and thanks Karl and Tim for lunch! Its good have a support team too. One day we will all be in the same run group and we’ll be out there in the track passing and pushing each other to go fast. 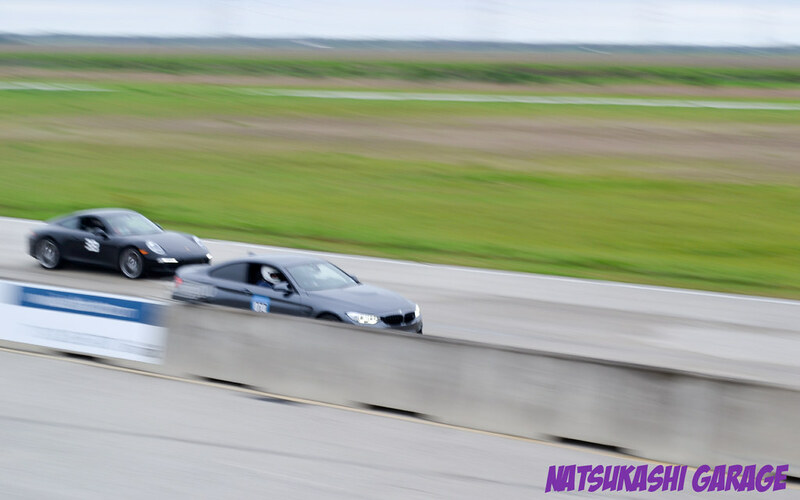 As Im tracking more, the M3 is slowing becoming more track focus. 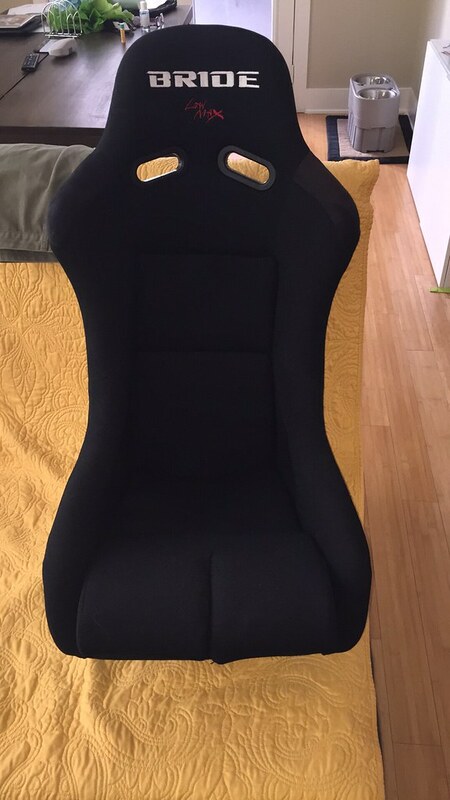 Last year around October I started shedding weight first with installing a bucket seat on the drivers side. I didn’t weigh the stock seat at the time but sure was heavy! 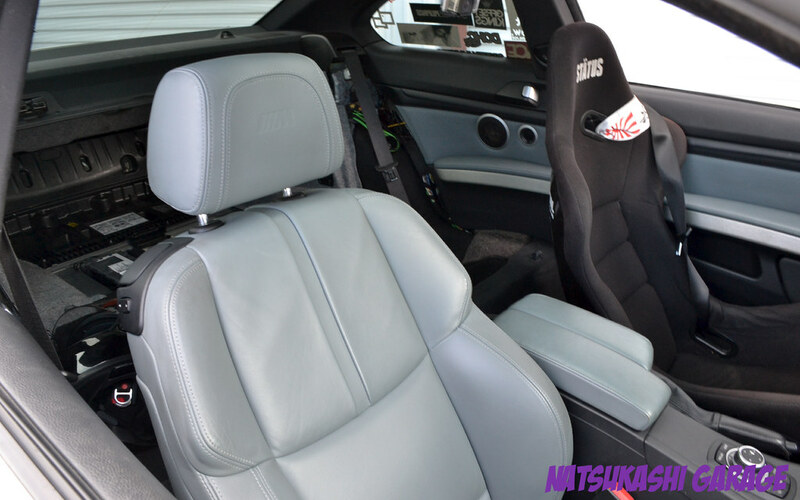 The beginning of this year I removed my rear seats. They were not as heavy as the the front seat. 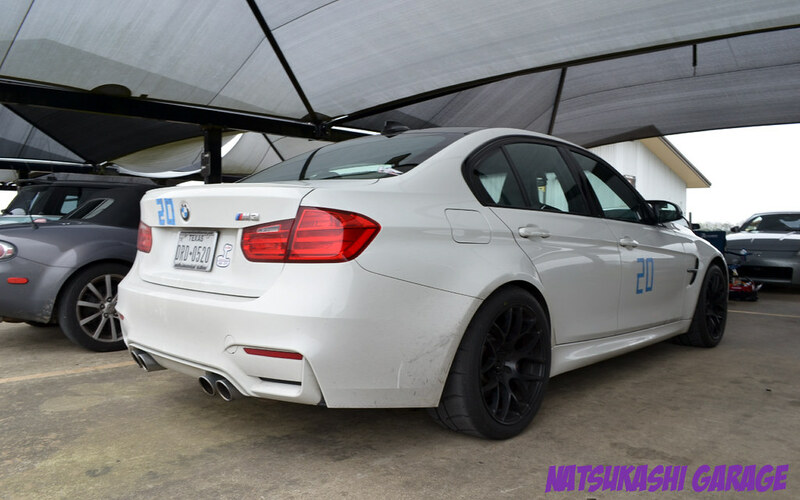 If I had to guess it probably weighed 40ish lbs and sure opened up the space in the m3. The rear seat is bulky. I didn’t notice a difference at the track with the weight loss but I cut my times 2 seconds since the last time I was at MSRH! I think its the combination of getting more seat time and the weight loss. 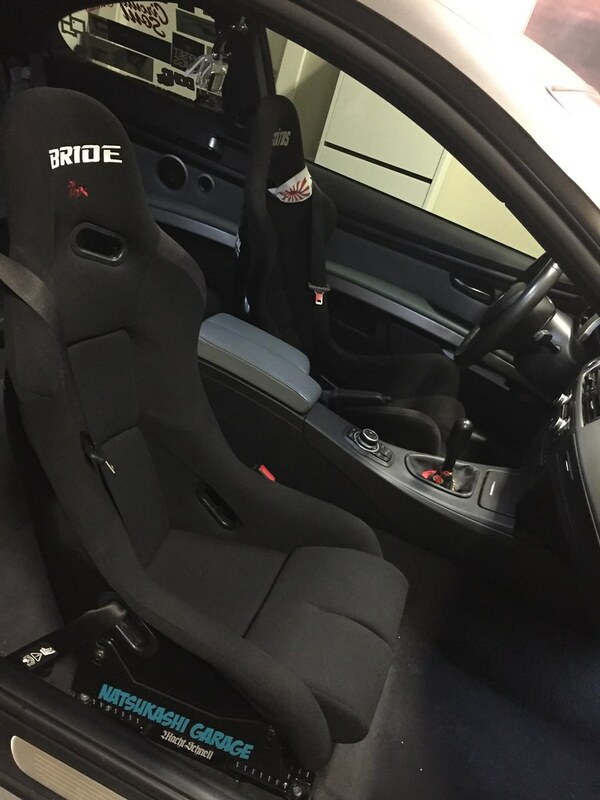 Then I won a eBay bid for a legit Bride seat! I ended paying $250 plus $100 shipping! Not bad for a seat that retails $900 new. 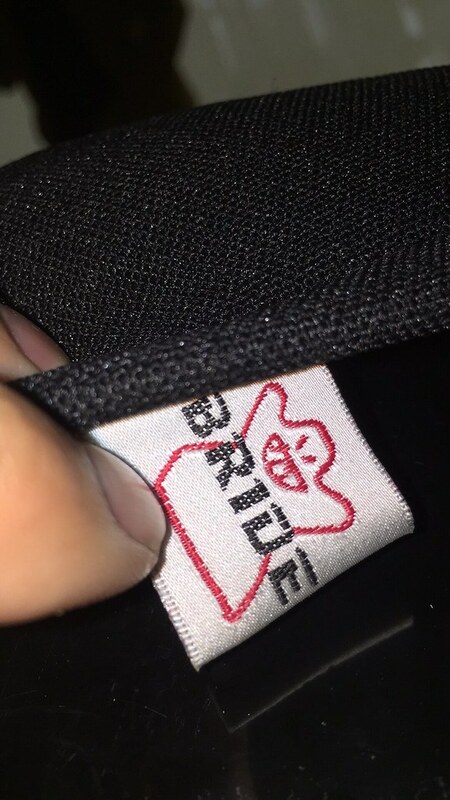 Had the sticker and stitching so I know it was legit. I rather pay for used legit parts then pay the roughly the same price for new fake ones. 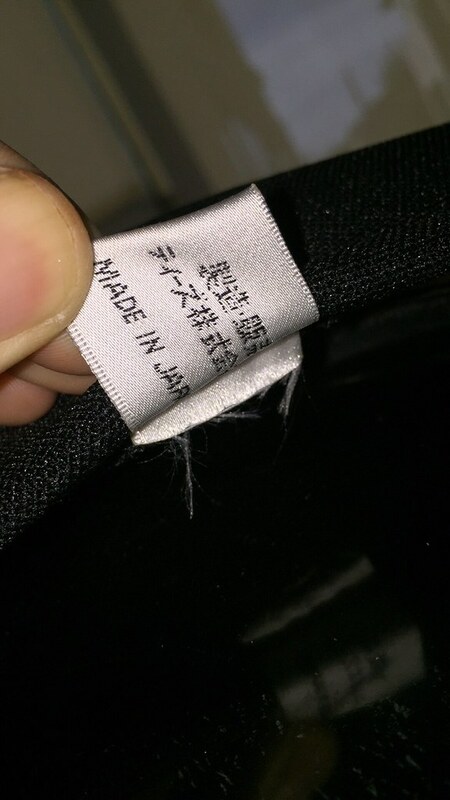 Its all about quality. Becuase quality last, and proven. Looks more track focus now. I have lost functionality of the getting into the back but I lost that when I took out the rear seat. For some reason, if need to, I can still crawl though the center console to get to the back. I did manage to weigh my stock front seat and weighed 65 lbs!! 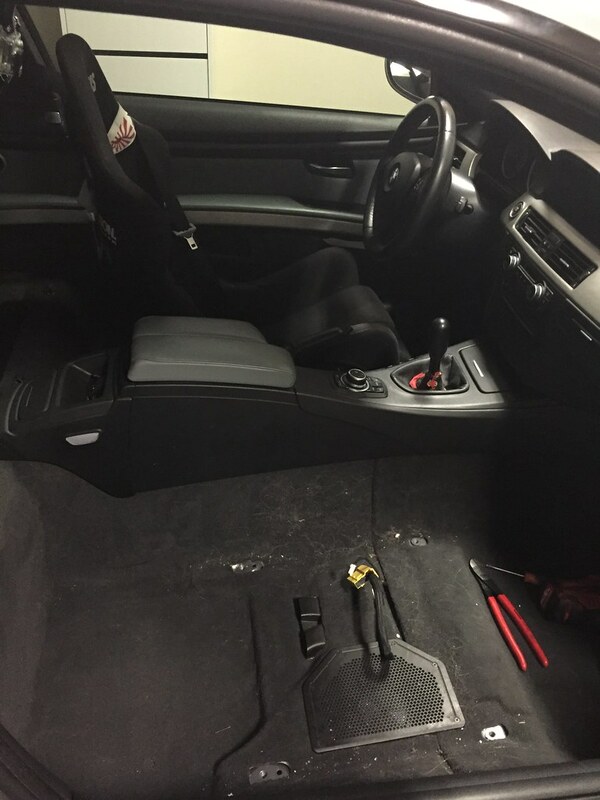 So with the the stock seats removed Ive lost 170lbs (65lbs x 2 for the front seats and 40lbs for the rear seat)!!! But I did add my bucket seats which I weighed 23lbs each with the hardware. So in total with the bucket seats installed I’ve lost 129lbs! Thats like having another passenger haha. While doing track prep and switching rims I weighed the front stock rim. 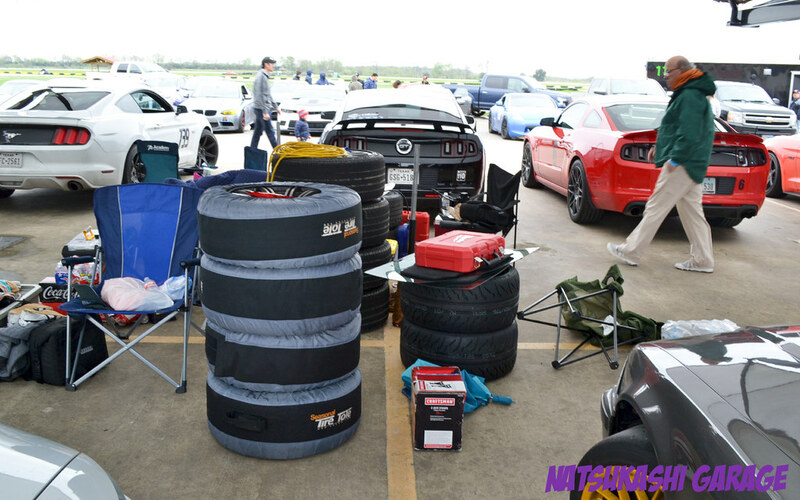 49.8 lbs showed for a 18×8.5 rim on 245/40/18 tire! Not terrible but does feel heavy when switching rims. Whats really impressive is how awesome TE37 weight saving is. Mind you my TE37RT are 18×10.5 with 275/35/18 tires. 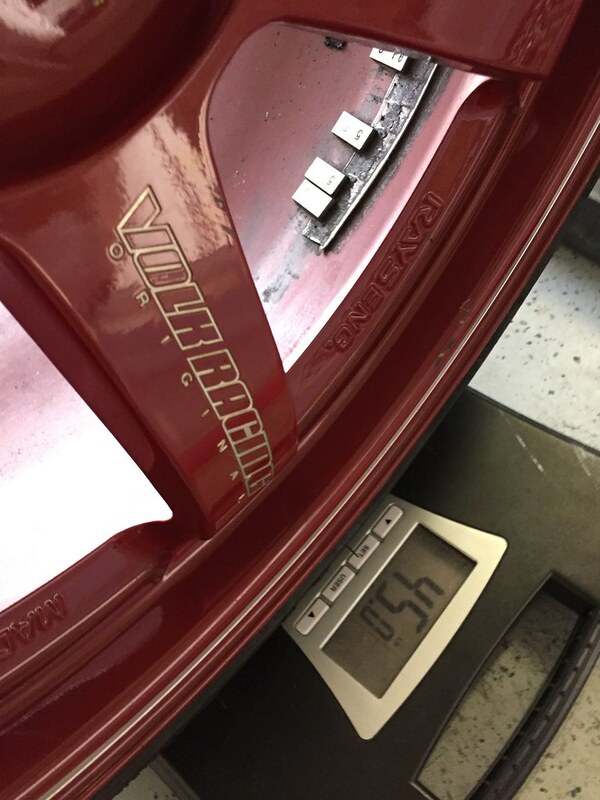 The scale showed 45 lbs, thats almost 5 lbs lighter per wheel!!! More width with less weight is impressive. You really understand why they are expensive. All that R&D to make a strong lightweight wheel. 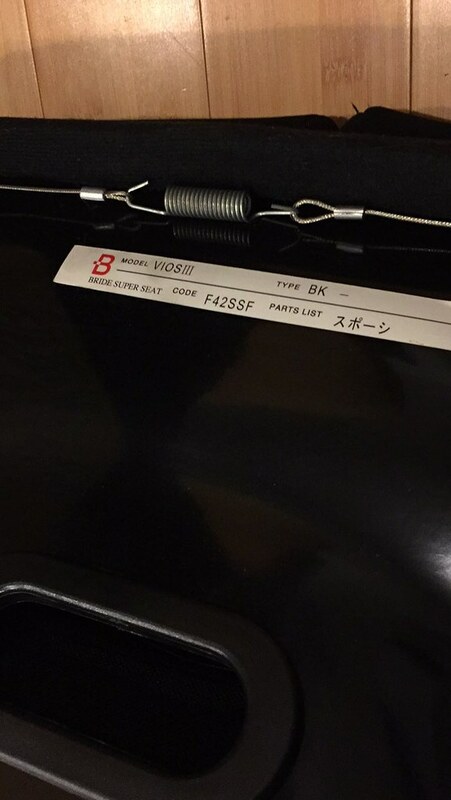 My TE37 are Ridged Tune meaning they are slightly lighter and stronger then regular TE37. Track proven too. 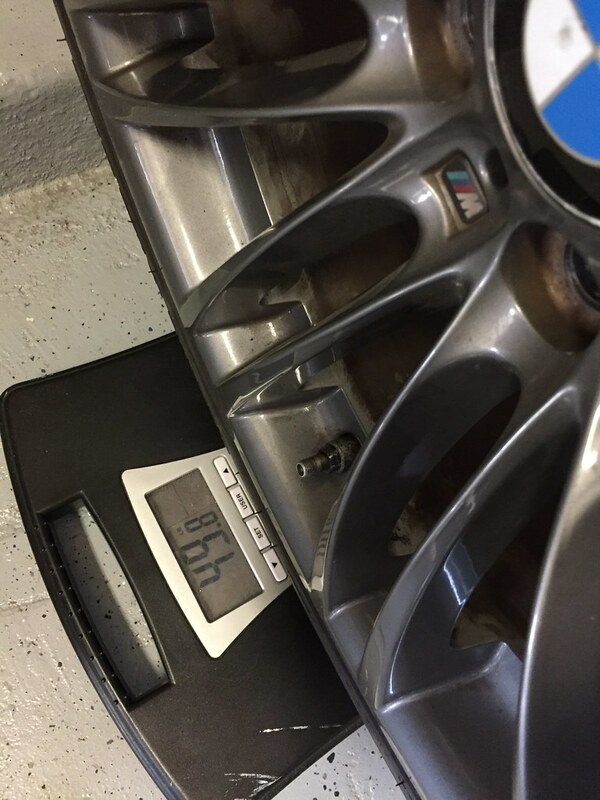 With all these weight loss Im sure my car’s weight is close the $100,000 M3 GTS! 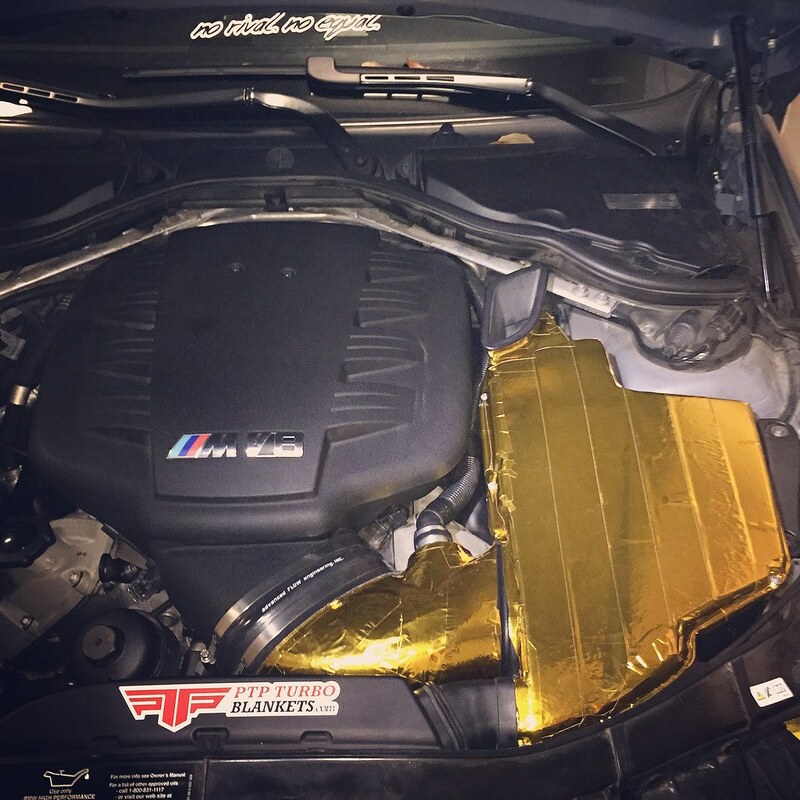 Since I pulled out the intake system for the m3, it gave me the opportunity is thermal wrap the intake and the intake box. I hit up my friend Joe from PTP Turbo Blanket for some rolls. 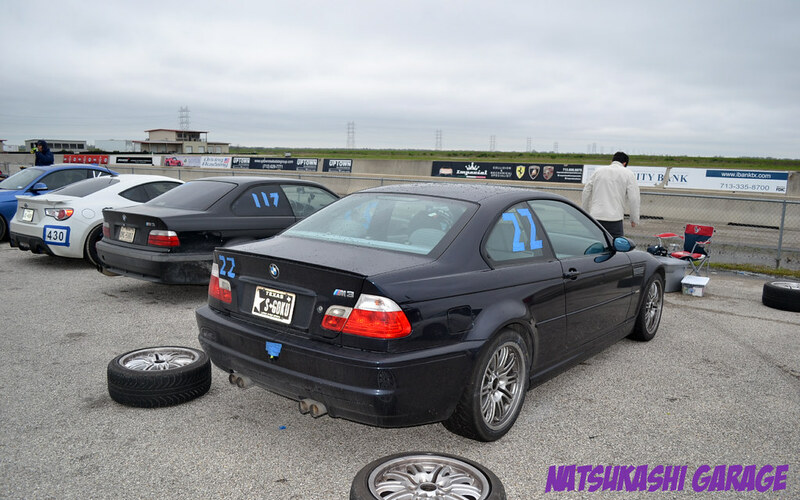 The intake system on the m3 is fairly big and ended up using almost 2 rolls of tape! 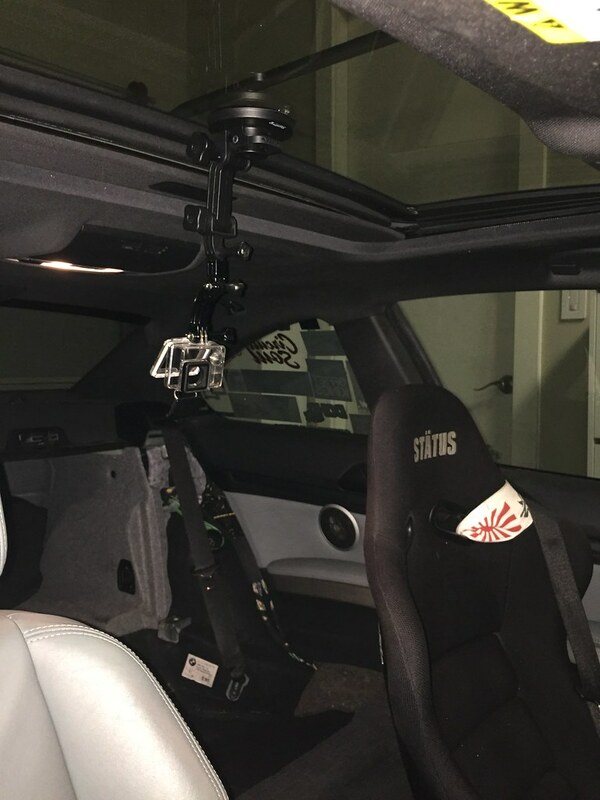 Ill soon find out how effective the thermal tape is once I track this weekend! Sure has a bling factor and something to pop my hood for at the meets hahaha. 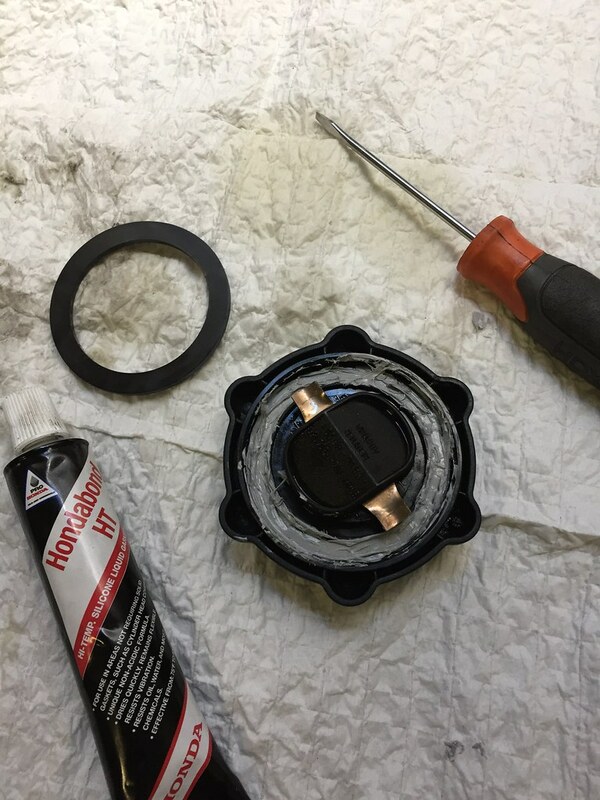 Next was fixing the leaking oil cap… BMW didn’t design a good oil cap for the S65 motor becuase it started to leak at 65k miles! 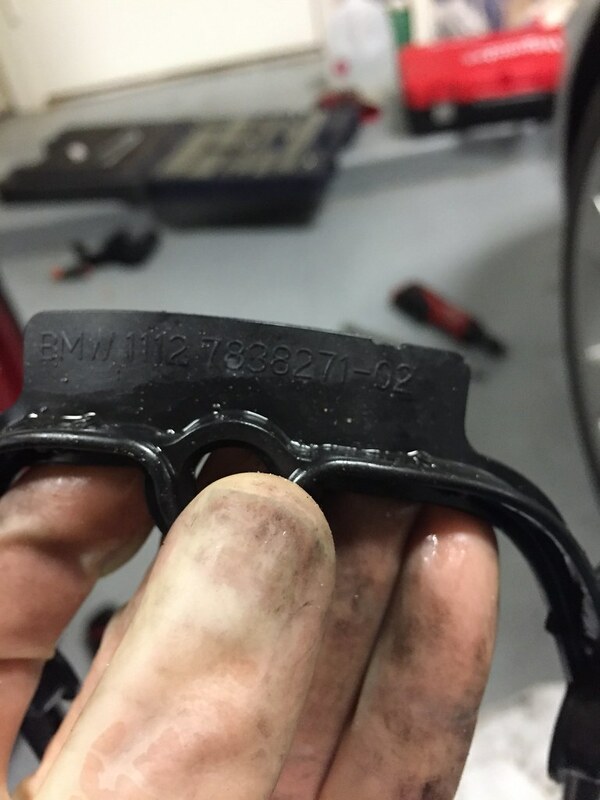 My BMW335i currently has 138k miles and the oil cap never leaked. My M3 has the old version oil cap for the S65 motor. What I did was use Hondabond on the oil cap and then put the rubber ring back on. On the safe I did buy an updated oil cap for $20 on ECStuning. Currently the Hondabond trick is working but at least I have a spare updated backup one just in case it starts to seep again. Since I was replacing my valve covers I might as well replace the spark plugs too. The wear on them didn’t look bad at all. Then more of track prepping, I replaced my rims and brake pads for the track. This is my third time doing this soo it was fairly easy and fast. Now my brakes squeal like a train again hahaha. 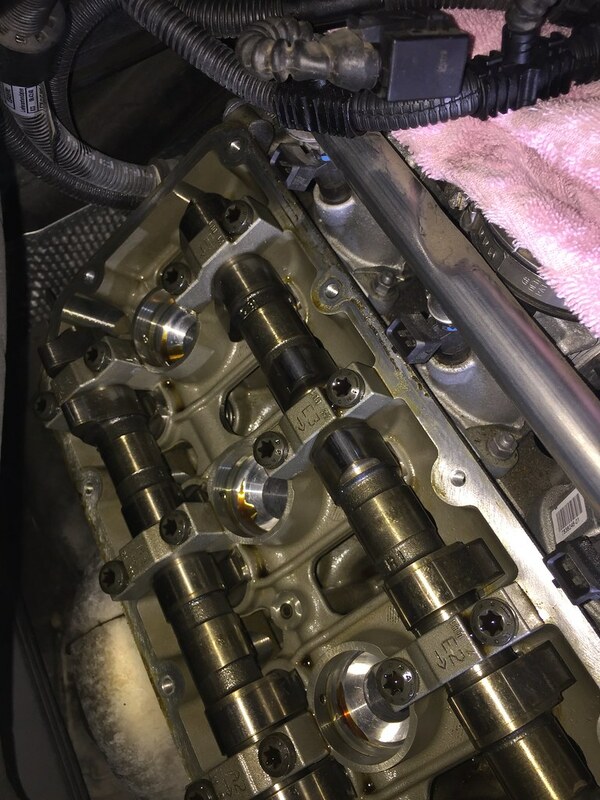 After replacing my valve covers (for the first time)…. it started to leak oil -_- Frustrating to work hard to fix something but it ends up needing to be fixed again. For a week I was trying to figure out where this oil leak was coming from. Over the weekend I deduced it from the passenger side valve cover. So I re-tightened the valve cover bolts and cleaned the valve cover. Yesterday, I drove the car to cars and coffee and noticed it was still leaking. Later that day after the engine had cooled down, I felt the right rear side valve cover and it was oily! Another sign was the oil was pooling the ride side of the skid plate. So I had no choice but pull out the valve cover and see whats exactly why the valve cover is leaking oil. That’s what I did today. One of the benefits of redoing something is you know what are doing now and can take that experience gained to be more efficient. I managed to take off the valve cover in 2 hrs. 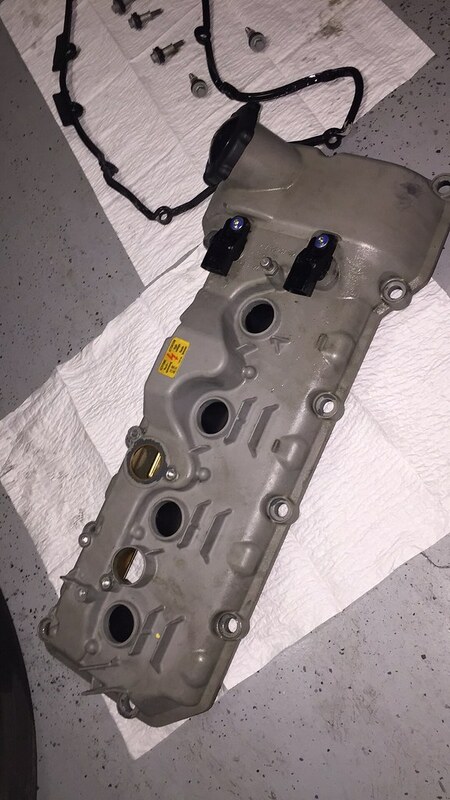 Perviously it took me 5 hours to take off the valve covers. I did notice while pulling some the valve cover bolts that it was covered in oil. Anther sign that the valve cover was leaking. and upon closer inspection I found the reason why. 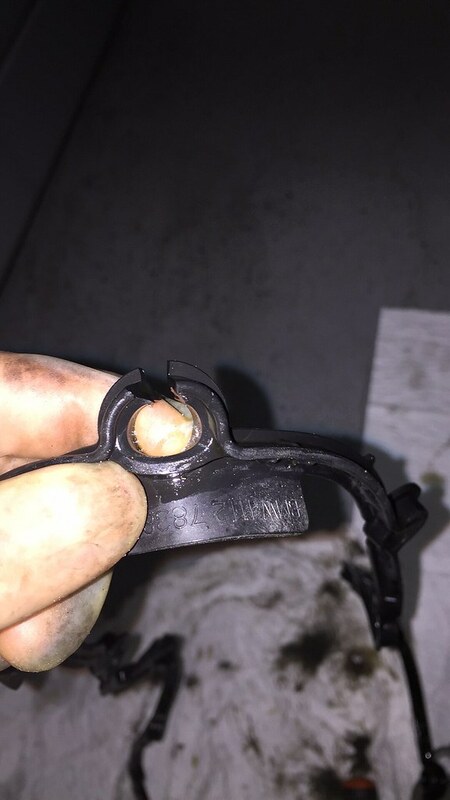 The valve cover gasket was pinched which didn’t seat properly. 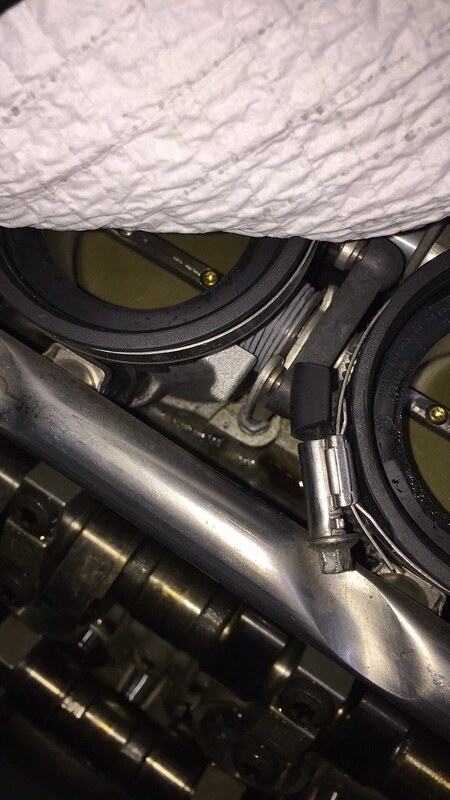 You can see the pinched valve cover caused a tear! I think what caused this was me rushing the job. The valve cover gasket wasn’t aligned properly before I had tightened it. I had put in over 8 hrs in, that I wanted to get done. You live from your mistakes. Another mistake that I did was assembling the breather valve the first time was snapping a bolt when I was lightning it. Again the mistake was just rushing. 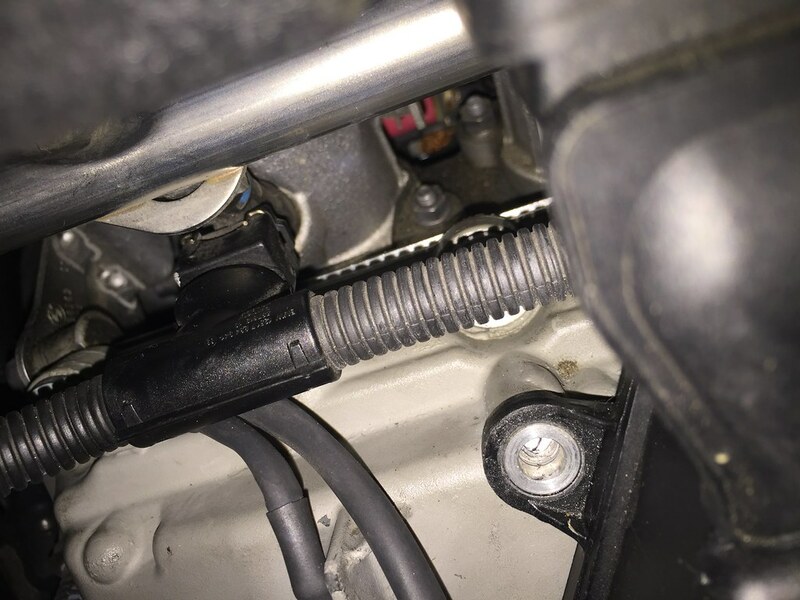 At the time I was too lazy and frustrated with myself to undo everything just so I can get the broken bolt out. It wasn’t leaking in that area so I didn’t bother. But now since I had to redo my valve cover gasket now would the perfect time to remove that broken bolt. 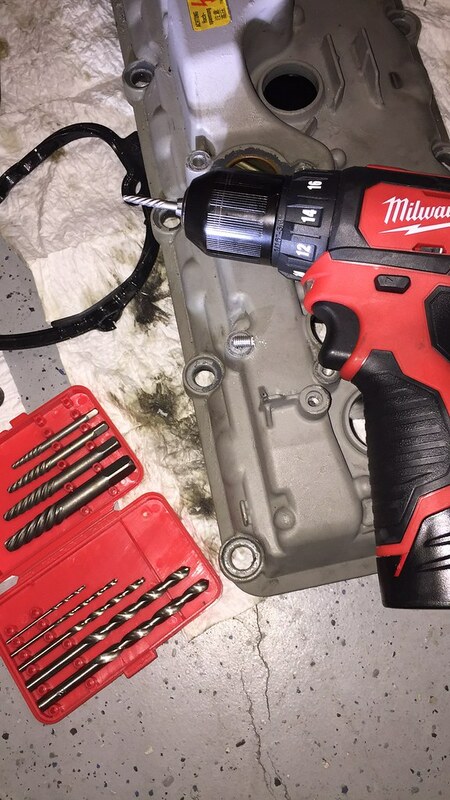 Thanks to my friend, Donnie, he recommended Craftsman bolt extractor set. Pretty cheap and comes in handy. Im pretty sure it ill be needing these again in the future. 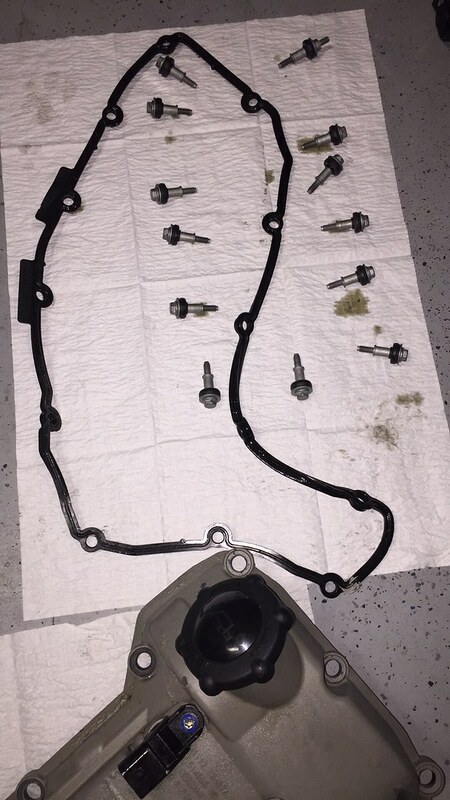 Currently Im just waiting for my OEM valve cover gasket to arrive, hopefully before this weekend track day! Its cutting close but this experience has taught me a lot and it always good to invest in some good tools. 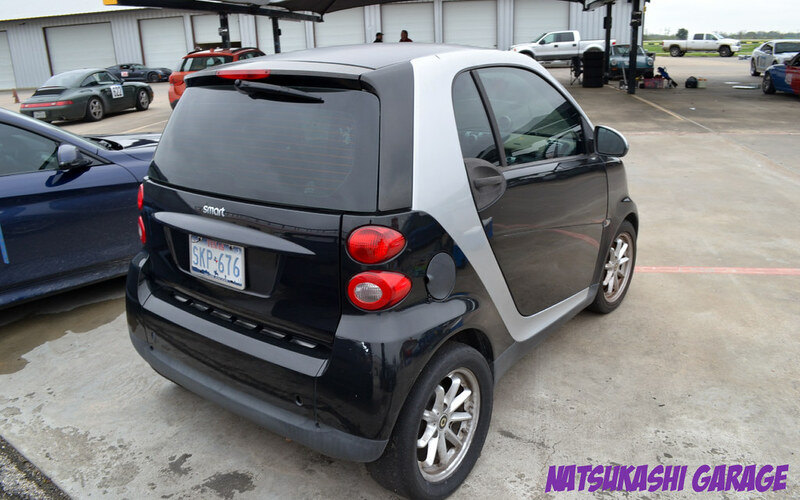 Makes working on your car easier and you also get to familiarize yourself to your car.